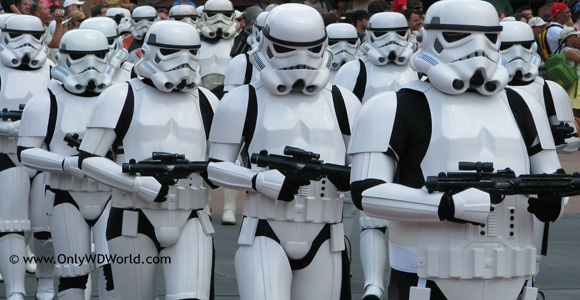 Star Wars fan don't have to wait much longer for their favorite Disney World Event of the year: Star Wars Weekends! This is when Disney's Hollywood Studios is transformed for four weekends into a world of good vs evil, Jedi vs the Sith, and it is up to you to choose which side of the Force you will follow. The Star Wars Weekends event happens from Friday through Sunday during each weekend and all events are included in the price of your Disney's Hollywood Studios admission. You will get to see a multitude of Star Wars Characters from all 6 of the live action movies, as well as, from the Star Wars Clone Wars Movie and animated series. You will also see celebrities that were part of the movies each weekend as part of question and answer sessions, parades, and autograph opportunities. This is a fun event for the whole family. You don't have to be a huge Star Wars fan to enjoy the event, as all of the normal Hollywood Studios attractions are open to enjoy during the event in addition to the special Star Wars related additions. Stay tuned to Only WDWorld for a full run down on all of the events and the special celebrity guests for 2012 when they are announced. 0 comments to "Star Wars Weekends Take Over Disney World May 18 - June 10, 2012"